Yesterday was the first exciting day for our group (CoD Trip 3 2017). We started the morning in Laramie, WY and then visited the Cheyenne NWS office. Chad, Becca, and Rob gave us a nice tour of the office and talked with our group about their roles/responsibilities. We grabbed lunch on Dell Range Road before heading north toward Wheatland. We stayed patient along a moisture discontinuity in the northwest NE panhandle, extending northwest to just north of Lusk, WY. This payed off as a nice supercell developed north of Lusk and began diving south given the weak upper-level shear (see RADAR animations). 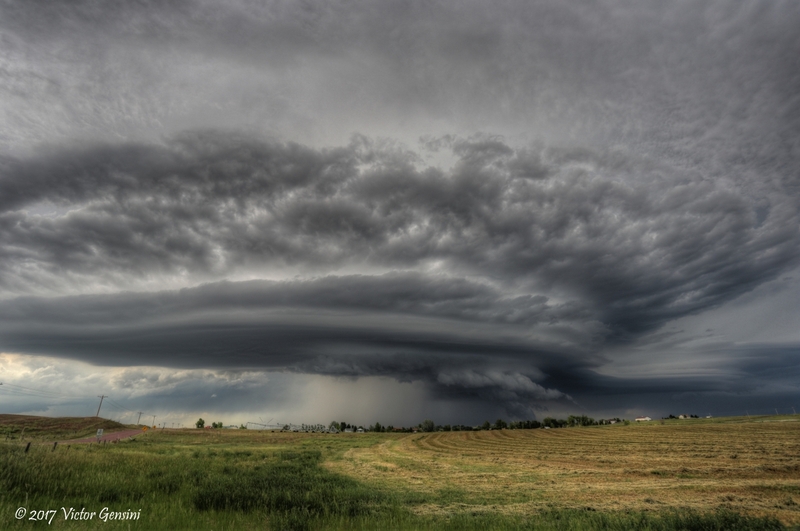 This supercell had nice structure for most of its life and had one of the more impressive hail cores I’ve ever seen. 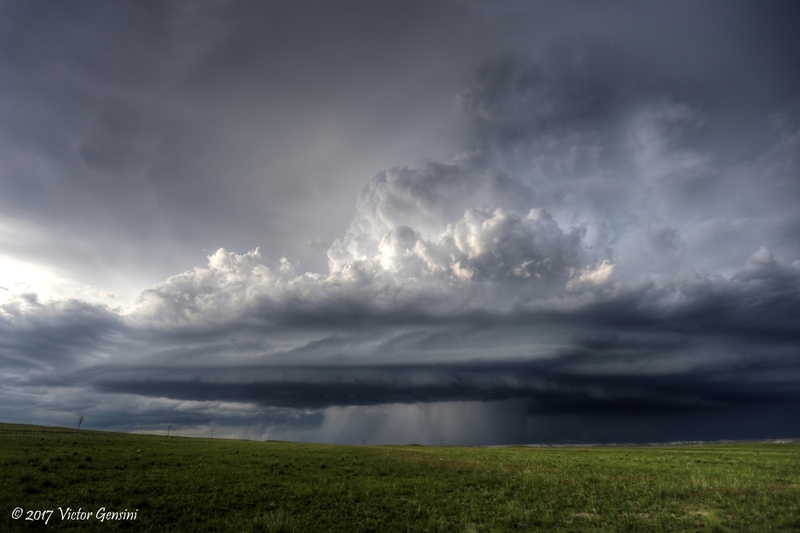 We stuck with this storm until it decayed just north of Torrington, WY.